Smiciklas indicated his opposition to Buffalo Wild Wings' Canadian expansion plans shortly after they were announced last summer. "(Buffalo Wild Wings) knew about me when they started this, and now they think they're going to muscle me?" he told the Financial Post in August. "The law is against them." The chicken wing war is going from mild to spicy, with the Canadian-owned Wild Wing restaurant chain saying it is launching legal action against Buffalo Wild Wings. The Canadian chain claims the bigger U.S. company is infringing on intellectual property as it expands into Canada. Buffalo Wild Wings announced last summer plans to come to Canada. It plans on putting about 50 restaurants in Canada over the next five years, with its first outlets slated for the Greater Toronto Area. It broke ground Thursday in Oshawa, Ont., and also has site leased in Mississauga, Ont. 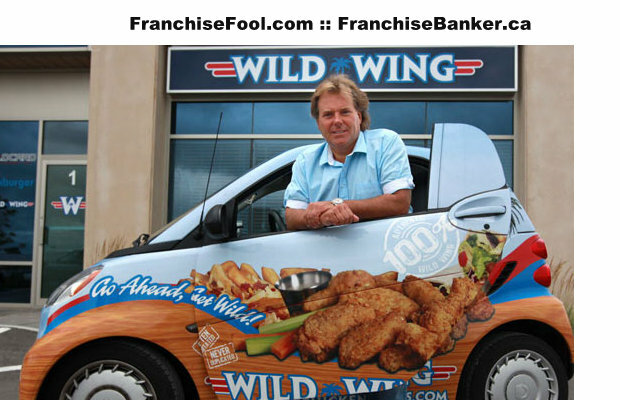 However, Wild Wing said Saturday that its U.S. rival's brand is misleading customers and franchisees by implying an affiliation with the already-established Canadian chain. "Wild Wing vows to protect its reputation in association with their trademarks in Canada," the company said in a statement. Wild Wing said its owner, Rick Smiciklas, would provide more information on its legal action at a news conference held in Vaughn, Ont., just north of Toronto, on Monday. The Canadian chain's claims have not been tested in court. Smiciklas indicated his opposition to Buffalo Wild Wings' Canadian expansion plans shortly after they were announced last summer. "(Buffalo Wild Wings) knew about me when they started this, and now they think they're going to muscle me?" he told the Financial Post in August. "The law is against them." The Canadian wing chain operates mostly in Ontario. It says current expansion plans will give it more than 100 locations by the end of this year. Buffalo Wild Wings currently has about 700 outlets across the U.S.